Codiac, formerly known as Terrell, is back in the business of bumping through your speakers. This is the third album of his to be reviewed on the website (the two previous reviews are under his previous alias), and he aims to leave a resonating mark with The Write Reviews and the rest of hip hop. I am personally responsible for conducting the previous reviews and I’m looking forward to what’s in store on this project as I’ve seen considerable growth from Codiac as an artist. Are you ready to find our what it’s like to be in the skin of Codiac? Get your copy of B. by B. (of Dakota South Records) here. Nice intro with a smooth flow for the most part. Some randomness involved in the content, but nice multiple syllable rhyme schemes. Codiac doesn’t display too many writing elements, but delivers bar after bar until the end when a hook-like stanza comes through the speakers on repeat to close out the opening track of the album. In the title track Codiac uses his metaphors very well and delivers a smooth flow throughout the song. Hook hits the audience with repetition to remain stuck in their minds after the song ends. There are some sick multiple syllable rhymes schemes here, and some personal insight to help reel in anyone listening. I’m really feeling this instrumental. The content brings forth Codiac’s struggle to achieve his goals, and pushing past those struggles to get where he wants to be. This subject matter should be something in which anyone who is listening can relate to. Codiac deviates from the typical song format to give the audience a nice change of pace early in the album. The transitions between instrumentals have been great so far. Here we have another hook that relies on repetition to become catchy with the audience. Codiac brings material in which listeners can relate to once again, and throws in some key metaphors along the way. Codiac might want to be careful of the subject matter becoming a bit stagnant early in the album. I really enjoy the hook in this one. For some reason this track feels a bit short to me, not in reference to time but I just felt Codiac had more to add or didn’t wrap up the song in conclusion as well as he could have or wanted. I’m feeling the beat for this one. I also like the hook and how it is written, but I feel it could use a little more aggression in the delivery. Nice switching speeds and presentation with the flow during the course of the song. “Too Late Now” is a refreshing track that comes in at a good time on the album. “Treat This Right” rolls with a slow style to the instrumental. The multiple syllable rhyme schemes are sick, once again, and executed very well. Codiac gets a little more personal here than he has in previous tracks by mentioning his children, yet also brings up reoccurring subject matter when he speaks about pushing for success in music. Overall, “Treat This Right” is a great addition to the album. I really, really like the switch up sound with the hook’s delivery on “By Any Means”. It’s another way Codiac is able to introduce something fresh for the audience. The subject matter for the track overall, though, falls in line with most of what has been presented on In My Skin so far. In my opinion, “The Move” has the feel of an interlude. While Codiac reaches out with some fresh topical material, the presentation itself has the feel of an interlude as he repeats himself quite a bit and the track is on the short side. Still, Codiac finds a way to switch things up and bring some freshness to the album. Codiac continues to impress me during the course of this album. While he dips back into the topic material we have heard for the majority of this album, on “Too Bad” he is able to spin it in a completely fresh and interesting way, so much that you may not even notice the subject matter hasalready surfaced on the previous tracks. Nicely done. I’m really digging the chopper-style flow brought here. Nice rhyme patterns and great execution on the delivery. The subject matter shifts here as well. Really feeling this track overall. Hands down one of my favorite instrumentals on the album. The topic is a nice shift from what we have been hearing, though Codiac doesn’t get very deep into the subject. He does switch speeds in his flow and, once again, executes his delivery very well. I really enjoy how he times his rhymes and speed with the instrumental. Great addition to the album. The beat for “Satisfy Your Love” isn’t like anything else heard on the album and has a lot going on with it, creating a rather complex sound. Stepping out of the typical song formats again, Codiac opens and closes the track with the hook this time around. The content shifts back to succeeding as an artist, but Codiac is able to present this track in a fresh way that helps keep the topic from feeling redundant. A quick-paced instrumental sets the tone for “Drive”, which Codiac uses to spit about determination and desire. The hook is fairly catchy on this one. Another instrumental on this album I love is the one used to close out the album. Probably the deepest track of the album in several ways, Codiac gets much more personal and uses metaphors perfectly. The flow and delivery are fitting, not only for the beat but for the subject matter as well. This is a fantastic way to close out In My Skin. Get your copy of XXI by Terrell here. It isn’t very often that I feel like the second half of an album is stronger than the first, but this happens to be the case with In My Skin. Codiac’s instrumental choices are entertaining and go very well together as a whole for the album. A feature or two would have helped in the first half of the album, in my opinion. There’s only so many tracks on one album that an artist can stay on the same subject without causing the audience to lose interest, and I feel that’s the weakest link in this case. 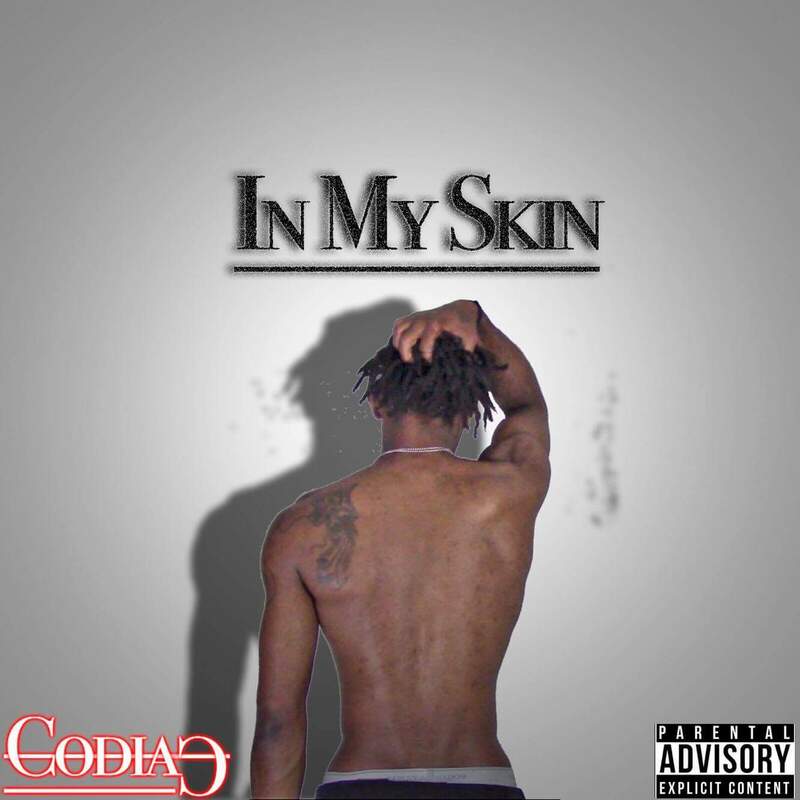 If it wasn’t for that, Codiac would be in the fight for a classic underground album right now, and I have no doubt he will be doing exactly that on his next project. Codiac can be found on Facebook! Warren Peace would like you to join him on Facebook and Twitter!